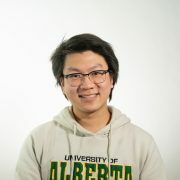 The Students’ Union Vice-President (Academic) heads student advocacy surrounding academic matters within the University of Alberta. This means overseeing student faculty and departmental associations, as well as sitting on a number of academic committees and working groups. This individual has a seat on General Faculties Council, as well as a number of the council’s subcommittees. They work with topics including governance processes, academic requirements, and program changes. The following interviews have been condensed and simplified for clarity. Full recordings can be heard on SoundCloud. The Gateway: Why are you running? Shane Scott: I have a very strong passion for student engagement and student representation. In a big institution like the University of Alberta, it’s important to have that strong student voice, so that’s my first platform point — supporting student representatives. This last year I worked for the Students’ Union as a research analyst and looked a lot at university governance and administration and saw what some of the major issues were and where there was room for improvement. Banana the Hamster’s translator: She likes to read books. Could you give a brief overview of your platform? Scott: My platform is quite large, visit voteshanescott.com to check the whole thing out, but my points are first, supporting student representatives from departmental associations to faculty associations as well as GFC and student councillors. My second point is establishing syllabus accessibility — the university is actually looking at rolling out this program that would see profs create syllabi through eClass so I want to make sure that students have access to that database. And then also working to see if we can collect syllabi on the Students’ Union side as well. My third point is largely based off the work I’ve been doing in the research department at the Students’ Union and that’s looking to better understand what diversity looks like in the classroom. I really want to work with the Office of the Registrar to see if we can collect more information, more demographics, to know who is sitting in our classrooms and to see what those experiences are. Banana’s translator: She’s going to fight crime. This year’s President has been exploring the possibility of a teaching tenure stream, if elected how would you proceed with that initiative? Scott: The teaching tenure stream is really cool. Right now instructors are hired either as sessionals, or on the tenure track where their job is to support students but primarily to do research. So the teaching tenure track would have instructors who are here because they want to teach. That’s really important because it ensures the academic experience we’re having in class is the best it can be. I think that it falls to both the President and the VP (Academic), because the initiative takes place in a lot of committees that I would evidently be sitting on and I want to be a strong voice for that. I did a lot of the research in the Students’ Union for this year’s executives so it’s something that is on my radar. Banana’s translator: She says more hamsters. Would you run GovWeek again next year, and if so how would you improve it? Scott: I would run GovWeek again. I think it’s important that we have a continuity of events to create community. Although there were many events and the attendance numbers weren’t the best, I think it did a lot in exposing students the governance system in the Students’ Union and the university as a whole. For instance, in the report Vice-President (Academic) Marina Banister published about the event, there was actually some incredible numbers about the influence that GovWeek had on the number of people who ran in the Students’ Council by-elections. People said part of why they ran in the by-election was because of GovWeek. If I was to host it again I would probably have fewer sessions, a bit more focus, and a bit more interactive. 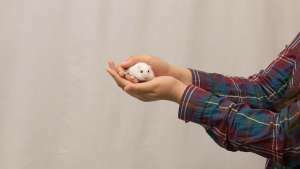 Hamster translator: Also more hamsters. 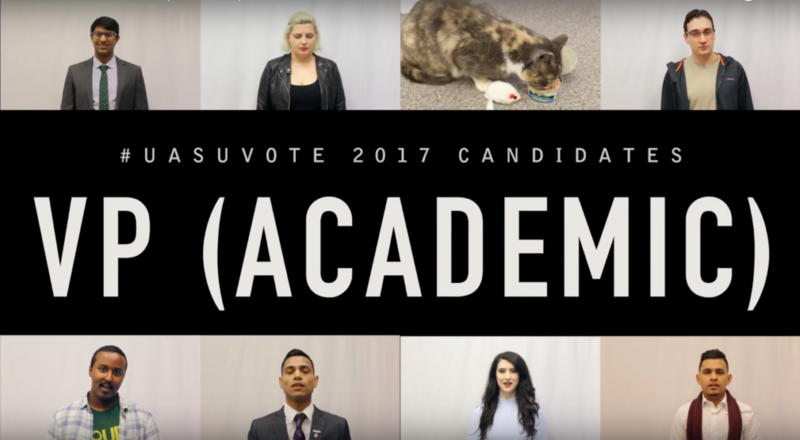 The VP (Academic) sits on a lot of student and GFC committees, why can students trust you to represent them? Scott: My experience is very relevant. Throughout high school and into university I’ve sat on various committees and clubs, students’ council in high school, principal’s advisory council. Provincially, I was on the Minister of Education’s student advisory council which was part of the “Speak Out” initiative about making sure students had a voice in education. I see that carrying over into the Students’ Union. I think my experience working in the Students’ Union with policy will prepare me going into the term. I’m not the kind of person to back down, I’m fairly strong-willed and I’m not afraid when sitting at those tables to speak up. On a personal note, I’m very conscious of the fact that I’m there representing 35,000 undergraduate students. Banana’s translator: She is an emotional support animal that lives in HUB mall, so she as lots of connections with individuals and she also represents the animals. JOKE: You’re given $35 million to start a college. What purpose would you give it? Scott: In a prior question we talked about the teaching tenure track — I think it would be useful if we could use that money to get that off the ground. Maybe that’s a college that’s educating students to become professors and to bring those concrete educational resources into the classroom. Not to say that all profs are bad, many of my profs have been great instructors, but if we could improve the learning environment and make sure students are getting the best support they can from instructors I think that’d be a great use of the money. Banana’s translator: All hamsters. They’re only 25 bucks so that’s a lot of hamsters.